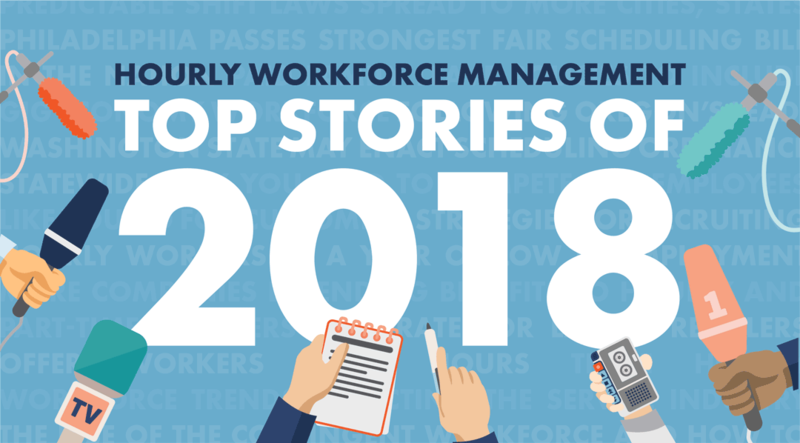 From important new research on work-scheduling practices, to the enactment of far-reaching labor laws and the effects of the tightest labor market in 50 years, here’s our recap of some of the year’s top stories and discussions surrounding hourly workforce management. 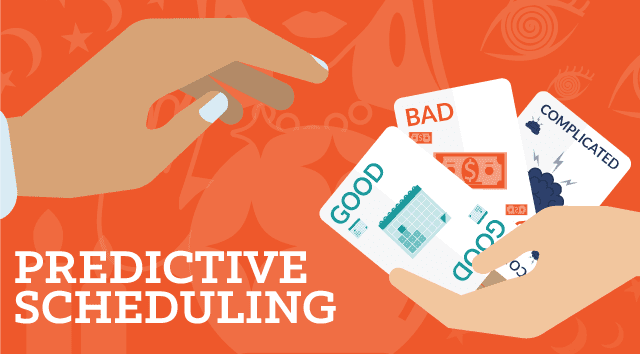 In short: Many companies view these laws as imminent and are changing their policies even before laws get passed in the municipalities where they do business. 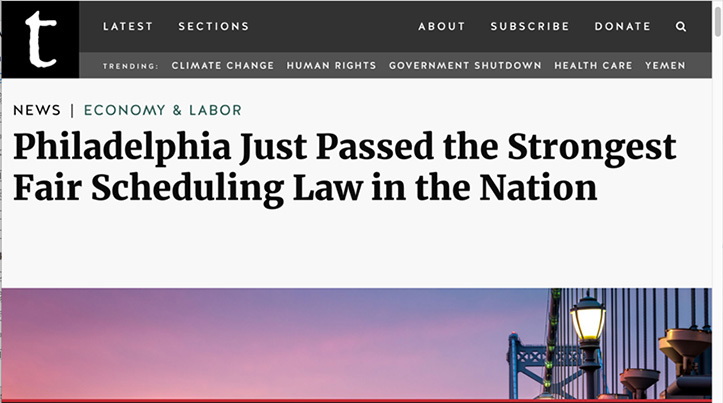 In short: The strongest fair scheduling law in the nation was passed in late 2018, going even further than similar bills by covering workers in all industries, not just retail. 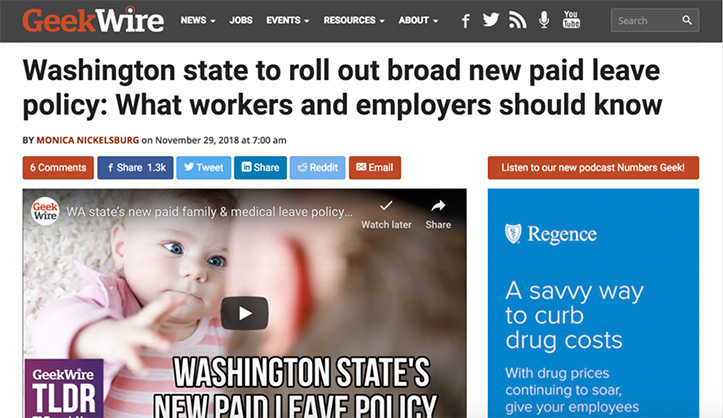 In short: Washington state now has one of the most generous paid family and medical leave programs in the nation, allowing for up to 16 weeks paid time off to care for new children, or to deal with family illness or injury. 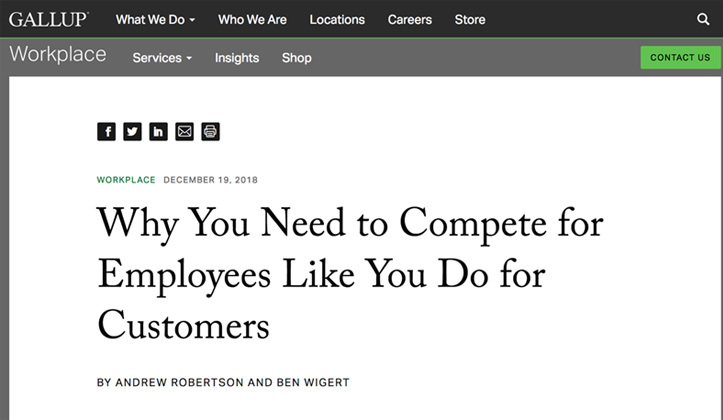 In short: Companies focused on the employee experience throughout the employee life cycle are the ones winning the war for talent in a tight labor market. 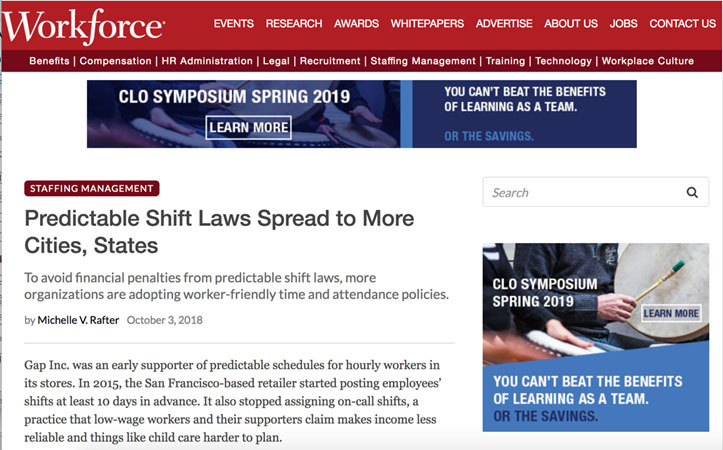 In short: Hoping to increase retention in a tight labor market, more companies are offering the same health insurance coverage for all employees. 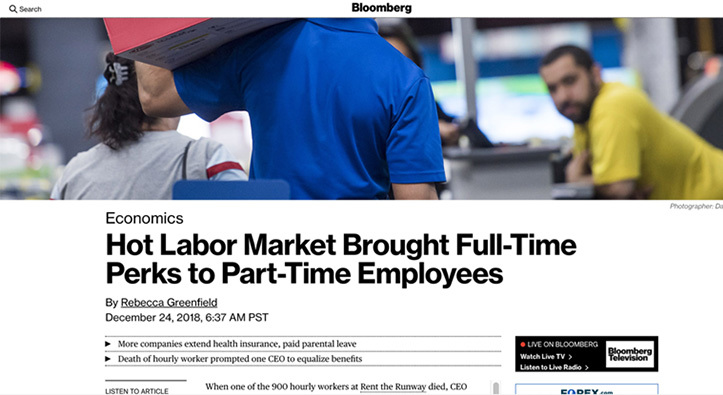 In short: Companies are stepping away from the part-time model to give workers additional hours, attract new talent, and boost retention. 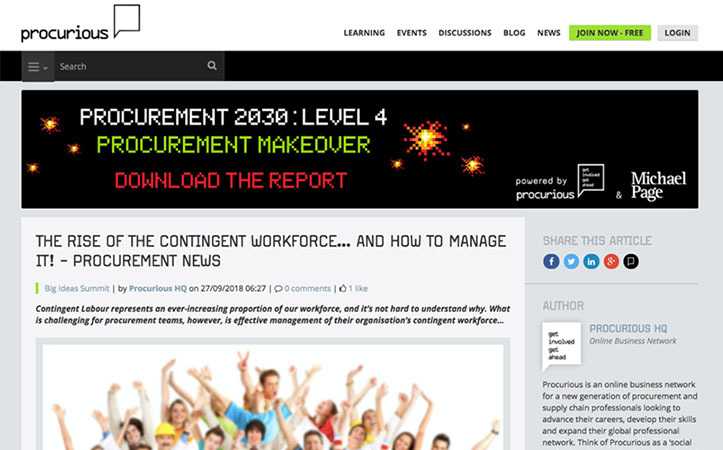 In short: Valuable insight into how HR and Procurement teams can work together to manage, and leverage, their contingent workforce. 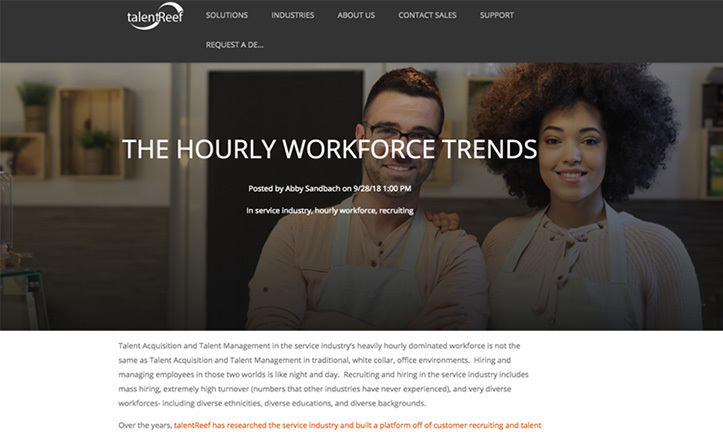 In short: Leveraging its broad experience and research in the service industry, TalentReef predicted three major human resource trends impacting the hourly workforce in 2018. 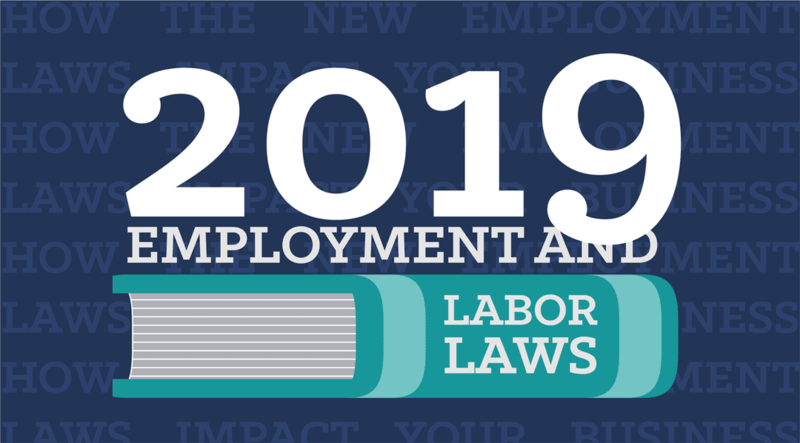 Want to receive more insights about issues affecting the hourly worker in 2019? 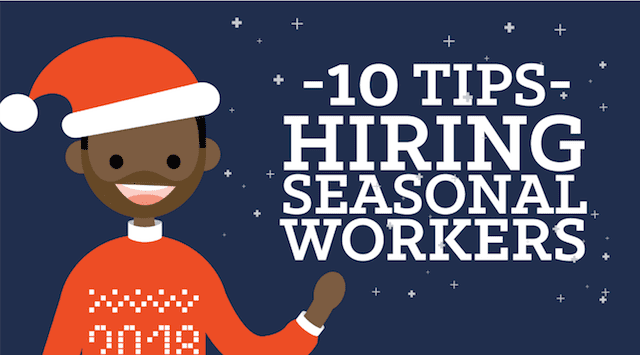 Sign up for our newsletter today and start receiving the latest hourly workforce news, directly to your Inbox!